HandMade Connections provide a support ticket system as well as a support call centre during general office hours. 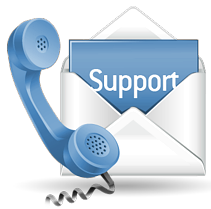 After hours our support numbers are rerouted to offer urgent support. HandMade Connections are not a computer hardware supplier and therefore recommend the first line of support should be your computer dealer.